Stamping, Tool &amp; Die, Wire Forms and More!
} Pro-Tech Tool & Engineering established business in 1995 and is located in Frankfort, Indiana, just 40 miles north of Indianapolis. Today, Pro-Tech Tool & Engineering has a skilled staff of men and women who are dedicated to exceeding customer's expectations. Pro-Tech Tool & Engineering focuses on product innovation and dependability to remain a highly successful company. Pro-Tech Tool & Engineering has over 60 years of engineering and manufacturing experience in the areas of custom wire EDM-ing, CNC machining, wire forms and lat stock forming. Pro-Tech Tool will help develop your needs from concept to production. Many times there is an alternative method of design that will enhance the manufacturing process and result in savings to you and your customer. Working with your engineers we can analyze geometric tolerances, assist in prototype and testing, as well as give advice in the fields of heat treat and coatings. Pro-Tech Tool is a reliable company with competitive pricing, fast and dependable delivery, and quality products. 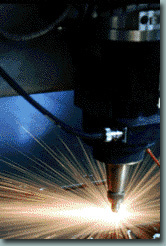 Pro-Tech Tool &Engineering would like to be the source for your tooling and production needs. We would like the opportunity to meet with you in the near future and do business with you soon. Also, if you have any questions on quote inquiries, please call or fax your information. Pro-Tech Tool &Engineering specializes in the design, development and production of metal stamping, punch presses, multi-stamps and custom tool building for such industries as automotive. Pro-Tech Tool &Engineering has an international customer base of which spring coiling companies make up a good part. Pro-Tech Tool &Engineering has developed and implemented a top notch Quality System that ensures that its products, standards and services meet or exceed the rigorous production and safety requirements demanded by our customers. The Quality System is considered by the management of Pro-Tech Tool &engineering to be an integral and essential part of all company operations. 890 E. County Rd 600 N.